If you love vegetables with a lot of flavor, this is definitely the side dish for you! To start off with, there’s the umami: umami is sometimes described as the “taste of protein:” it’s the rich “meatiness” that you can taste in certain savory foods like tomatoes, mushrooms, and cured meats like bacon. 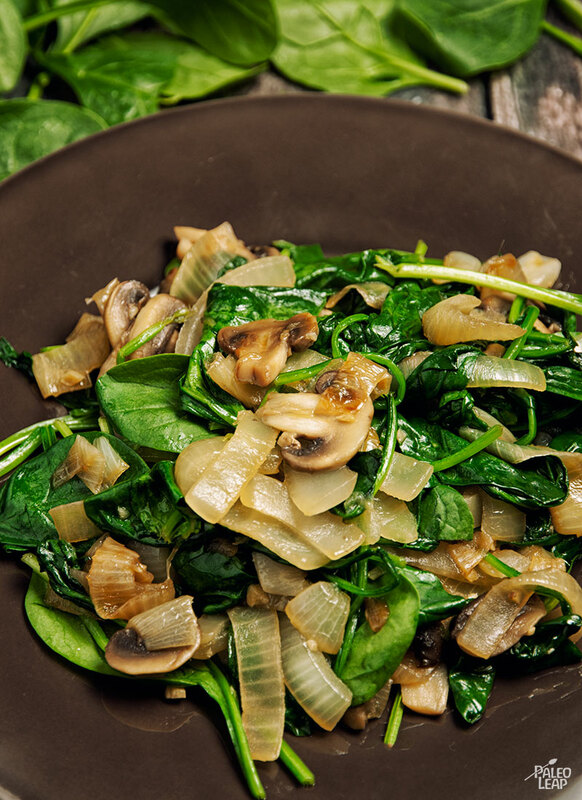 Chemically, the umami taste comes from a compound called L-glutamate: both spinach and mushrooms are rich sources, so you’re really getting a double whammy here. 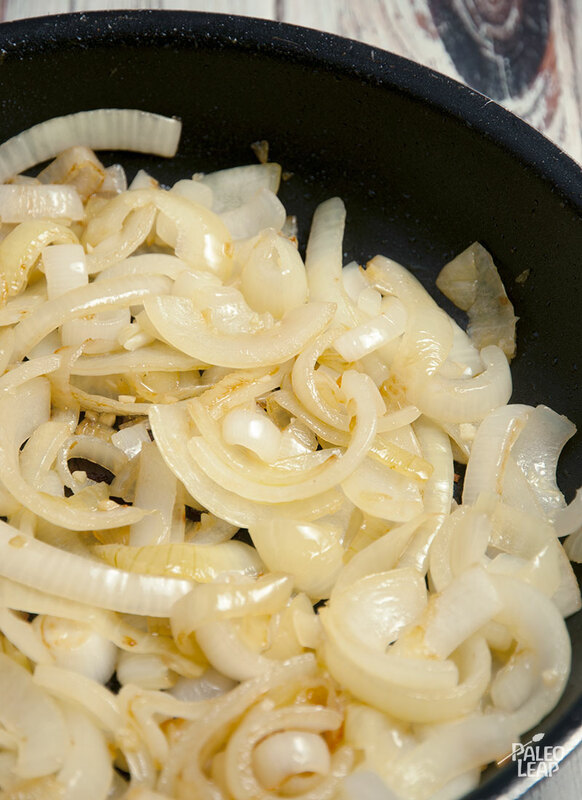 On top of that, the caramelized onions add even more richness: don’t forget to scrape up all the little bits of flavor on the bottom when you deglaze the pan! A combination of coconut oil and ghee for the cooking fat tones down the nutty flavor of the ghee just enough that it complements the vegetables nicely. This spinach would go really well with almost any main protein: it can hold its own with richer cuts like steak, but it could also add a little more oomph to lighter meats like chicken or fish. Or try it with eggs for an easy and delicious way to get some more vegetables in at breakfast time. SERVES: 2 to 4 PREP: 10 min. COOK: 45 min. Heat the coconut oil and ghee over a high heat in a skillet. Add the spinach. Stir on low heat just until the spinach wilts, and serve.